When you start looking at responsible choices for what you buy, you are faced with a number of options. Fair Trade would be one of the most well known and well advertised, however Rainforest Alliance would be a close second. 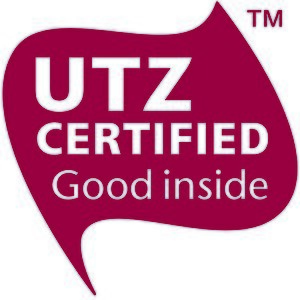 There are others of course – the coffee that I buy for my everyday coffee is UTZ certified. So what do these terms mean, and should they affect our choices? Let’s look into them, and see what they stand for. Fairtrade is a worldwide organisation that aims to ensure that those who are producing the product are paid a fair wage for the work that they accomplish. They claim that around 6 million people in developing countries benefit from the Fairtrade system, which provides them with a fair price for the produce that they sell, and also provides for investment in their local community. Fairtrade certification also prohibits child labour. The way Fairtrade ensures a fair wage is by setting a minimum trade price for a product. This is the minimum price that goods can be sold for. However, this just sets a starting price for negotiations, and allows better quality goods to fetch a premium price. While most people would recognise Fairtrade most with chocolate and coffee, you can also get Fairtrade certified cotton, fruit and vegetables, jams and spreads, spices, grains, homewares and more. There is of course some criticism of the Fairtrade system. Some say that it creates a quality problem, where producers get guaranteed a minimum price, even for poor quality products. Others say that the conditions for entry into the program make it restrictive for producers to enter, and receive that price. That said, Fairtrade is still one of the most well known ethical trade systems around today. The Rainforest Alliance is similar to Fairtrade, however it has more of a focus on the environment. It has five areas of focus for its model: Keeping forests standing, curbing climate change, protecting wildlife, Alleviating poverty, and transforming business practices. As you can see, the focus here is very much on the environment, with some focus also given towards those producing the goods. In terms of alleviating poverty, Rainforest Alliance claim the “Rainforest Alliance Certified™” seal allows farmers products to reach new markets, negotiate better prices, improve access to credit, and lift themselves and their communities out of poverty, through investing the extra money that they earn in their own community. Being part of a Rainforest Alliance Certified farm also means that employees receive decent wages (which they determine as a minimum of $2 a day), respectable housing and healthcare, and their children having access to education. Rainforest Alliance boasts some big name supporters. Kraft Coffee is integrating Rainforest Alliance beans into its major brands, Mars has pledged to source its entire cocoa supply from certified sustainable suppliers by 2020 and all of Lipton tea bags will be entirely Rainforest Alliance certified by 2015. The coffee used by McDonald’s McCafe are also Rainforest Alliance certified. Of course, there are criticisms. It has been described as “Fair trade lite” – allowing companies to be seen as doing something ethical, but at a cheaper price. The Rainforest Alliance certification also doesn’t provide a minimum price for goods, meaning that those who are involved are exposed to the fluctuations of the market. The minimum price for employees is also seen as being set too low. Finally, for things such as coffee, the Rainforest Alliance seal is permitted to be used on products that only contain a mimimum of 30% certified beans, meaning at up to 70% of that coffee does not meet their certification system. UTZ Certified was originally “Utz Kapeh” which means “Good Coffee” in Mayan. They claim to have 50% of all sustainably certified coffee grown under their label and requirements. Strict monitoring by independent third parties verify that good agricultural practices and management, safe and healthy working conditions, no child labor and protection of the environment are assured throughout the growing and manufacturing processes. They do this by educating farmers on better farming methods; ensuring that working standards set out by the International Labour Organization are upheld; better care for nature through the optimization and reduction of pesticides and using sustainable practices such as recycling and renewable energy; and a strict “No Child Labour” policy, which includes supporting local schools to ensure that children get an education. Through this, UTZ Certified claim that farmers will receive a better crop, which will lead to a better income, while at the same time producing a better environment (through more sustainable and environmentally friendly farming practices), and a better life through supporting the farmers and their families. Unlike Fairtrade, UTZ Certified doesn’t specify a minimum price for Coffee, and as such Farmers are subject to the volatility of the market. While they claim protection of the environment, UTZ Certified farmers are allowed to use pesticides as long as they are allowed to be used in the major markets (US, Europe and Japan), and that they are applied according to the directions on the label. Another criticism is that UTZ Certified requires workers to be paid in line with national laws – it doesn’t take into consideration if the national laws set the minimum wage too low. UTZ Certified brands include IKEA, Harris Coffee, and The Coffee Club, which boast 90% of all coffee beans as being from UTZ Certified farms. It should be noted that just because something doesn’t have a label, doesn’t mean that it’s necessarily bad for the environment or the workers who produced it. Dilmah Tea has long refused Fairtrade certification, with the founder claiming that Fairtrade is a “farce” and nothing more than marketing spin. Dilmah has long supported fair remuneration of its workers, and puts 10% of its gross profits into a charitable fund to aid disadvantaged people. I’m currently enjoying some coffee that is completely Australian grown, roasted and owned. Due to the Australian fair trading regulations, you can assume that this coffee is ethically farmed. In the end, when looking at the benefits and criticisms of all three major labelling systems, it is difficult to pick one as being better than the others. In the end, for me personally, I prefer to choose coffee (and other products) that have a label, as opposed to none. While it doesn’t guarantee everything, it means that at least some effort is being made towards making the farmers lives more sustainable. Hi Ben. Thanks for this article. The 3 systems mentioned do tend to create confusion so trying to add some clarity is great. I would agree with those who see Rainforest Alliance and UTZ as “lite” versions of Fair Trade. I am reminded of the coffee crisis of 2003. Coffee fell to .50c/pd. There were suicides by farmers across Africa bec. they were farming the beans for more than the payment they received. They simply couldn’t survive. Except for the F/trade farmers. They were the only ones with a min. floor price locked in so their costs, and more, were covered. I also think it’s worth noting that over 50% of F/Trade products are organic and farmers who farm organically receive a higher price. Previous Previous post: Is any life more important than another?